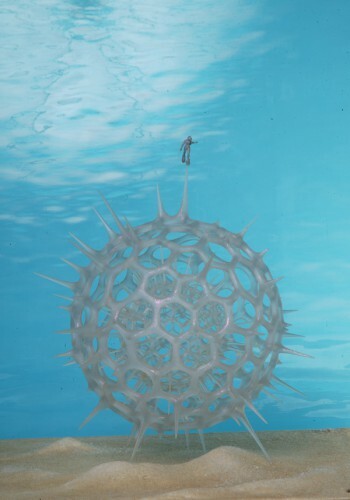 Radiolarian Reef (2010) is the skeleton of a radiolarian which encases plankton. 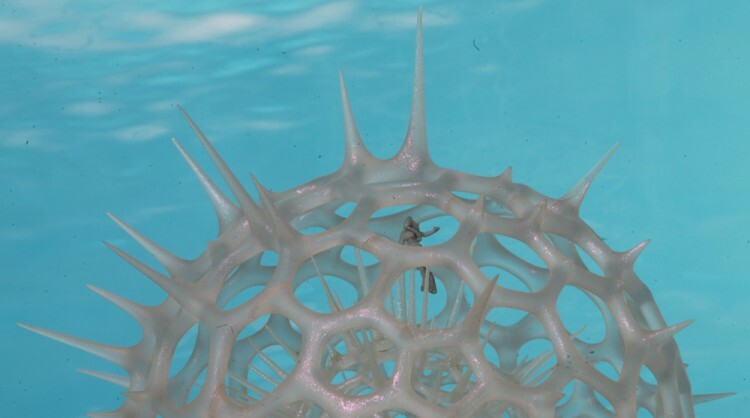 Plankton in our oceans and fresh water bodies creates over half the oxygen on our planet and sequester carbon dioxide. 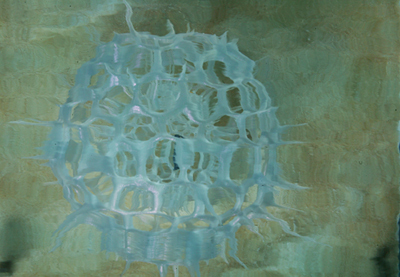 These elegant structures are eroding and mutating due to ocean acidification. This model depicts the plans for a reef structure which would act as a teaching tool about the importance of these microscopic structures as well as become a home for coral and the aquatic life that depends on healthy reefs. Materials: SLS rapid prototype with miniature plastic diver.